Choosing a car that offers the best fuel economy is a smart way to save money at the pump. Toyota has more class-leading fuel-efficient vehicles than any manufacturer in Canada*. But aside from choosing a vehicle with great EPA mileage estimates, there are a few easy fuel economy tips that can also help you get more bang for your buck. *Based on 2015 Natural Resources Canada published fuel consumption rankings including hybrids. Rankings do not include plug-in hybrid electric and battery electric vehicles. Rankings current as of January 2015. Anything that increases a tire’s rolling resistance or friction with the road surface will increase the amount of work required of the engine and therefore the amount of fuel it burns. How can you easily reduce your vehicle’s rolling resistance? Check out the tips below. Under-inflation increases a tire’s rolling resistance. 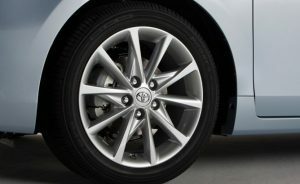 Don’t wait until your tires “look” low, or the TPMS (tire pressure monitoring system) warns you that your Toyota’s tire pressures are low before you check them. Tires that are 56 kPa (8 PSI) low can increase fuel consumption by 4%. Think of the air to keep your tires at proper pressure as “free” gasoline. 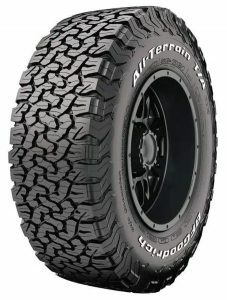 Automobile and light truck tires manufactured for sale in North America have wear indicators (“wear bars”) moulded into the tire tread at 2/32″ depth. This is the minimum legal tread depth permitted for use on public roads. When a tire’s tread is worn level with the wear indicators in two or more adjacent tread grooves, the tire is considered illegal for further use and must be replaced. Some all-season tires have a second wear indicator at 4/32″ tread depth. When worn to this depth, an all-season tire may no longer be suitable for use in snow and may experience hydroplaning in severe wet conditions. Winter tires may have a second wear indicator at 6/32″ that indicates when the tire may no longer be suitable for use in snow. The harder you accelerate, the more fuel you consume. Ease onto the accelerator pedal gently and gradually. Maintain a steady speed, avoiding sudden bursts and dips in acceleration. Read the road ahead, planning well in advance how to keep your vehicle’s momentum. Anticipate slowdowns, then simply take your foot off the accelerator to decelerate. Avoid high speeds: stay in the optimal speed zone between 50 and 80 km/h for maximum efficiency. *Your actual fuel consumption may vary from published fuel consumption ratings depending on how, where and when you drive.